I talk to so many CPA firm leaders who are struggling with very important decisions. I can listen, suggest and advise but I can’t do it for you. What are you afraid of? Why do you often postpone some simple business decisions because you just might hurt someone’s feelings? Why do you procrastinate on dealing with poor performers because you might hurt someone’s feelings? 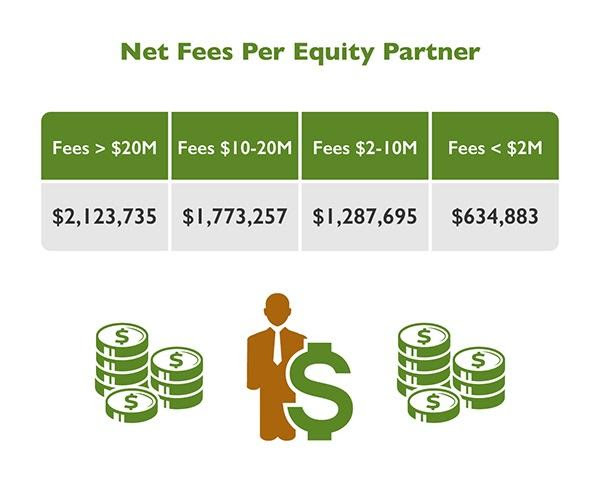 Why do you allow several clients to use your firm like a bank? They owe you money, they don’t pay and you just let it “go” for a very long time. You are running a business and your people and your clients should expect you to make timely, and sometimes difficult, business decisions. 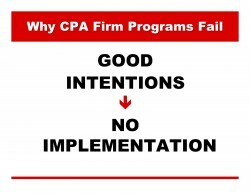 Are these types of things happening at your CPA firm? If so, make a decision to deal with them, beginning immediately. I was browsing through famous quotations about facing a new year. I came across one that I have often used in my presentations. To me, it says so much about CPAs in public practice coping with surviving in a profession that is undergoing some of the most formidable changes it has ever faced. Clinging to the past is not the answer. Making the commitment to change yourself is the answer. How are you, personally, going to survive into the future. Too many partners and managers are clinging to work that they know and love. They have not developed the skills or desire to delegate properly so that less experienced CPAs can learn from more challenging work. Begin this week to observe what your team members need to learn and give them projects that will help develop their skills and knowledge. Struggling with exactly what to delegate? Ask your team what they think you should delegate. They are more insightful than you might think. Managing partners, ask your firm administrator what he/she thinks you should delegate to them. You might be pleasantly surprised. 1) Sets objectives. The manager sets goals for the group and decides what work needs to be done to meet those goals. 2) Organizes. The manager divides the work into manageable activities and selects people to accomplish the tasks that need to be done. Does this sound like the managers at your firm? I find that so many so-called managers are actually higher-paid and more experienced technicians. If owners want more freedom to bring in business and talent, be sure your managers are trained and expected to manage. Read What do managers do via WSJ. Hiring people is an art, not a science, and resumes can’t tell you whether someone will fit into a company’s culture. When you realize you’ve made a mistake, you need to cut your losses and move on. Accountants often doubt themselves. Of course, in the world of public accounting, the CPA is the most trusted advisor. CPA owners are also trusted bosses. When you count all the clients and all of the employees, there are a lot of people and families depending upon their CPA. That is why all of the work flowing through an accounting firm is reviewed, reviewed and reviewed. Don’t let this daunting responsibility slow you down. Establish processes that include “safety nets” and be an enforcer when it comes to everyone following the documented procedures. Don’t let fear of risk paralyze you. I see so many firms NOT taking advantage of their potential. 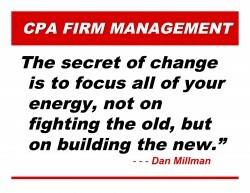 Your CPA firm should be having amazing successes. Lots of clients need your knowledge and assistance. There is so much potential with Client Accounting Services and other services that maybe you haven’t offered in the past. Don’t be afraid to experiment. Take some risk and take a chance on success.